What is in self-documentary toolbox for authentic creative traveler. In your self-documentary toolbox for travel consider including some of the items for recoding your insights and experiences. Also have technology that supports your self-nurturing and entertainment. You can learn about the reasons for arranging a self-documentary toolbox. Travel Journal. In your traveling toolbox there always should be a journal for recording your insight. Find the one that has a durable and flexible cover. Look for a binding that is preferably stitched. Consider it not to be oversized, optimal would be 6 by 8 inches, maximum 10. At least take a spiral bound notepad. Depending on the location and length of travel, weather could find a way to damage written material, so place the journal in a snag plastic bag. Reliable Pen. Not all pens are equal. Have you noticed how the smoothness of the pen effects your inspiration. Well, it does! If you are writing something expressive, it is very important to see a rich, smooth and even line of ink capturing the creative essence of your thought and feelings. It soothes your attention and your cursive comes out pacified and more detectable.It is worth trying several pens to chose the brand and a model that works well and fits comfortably in hand. Digital Recorder. It is a "must" item to accompany you and should be a part of self-documentary toolbox. During the travel you may come across something completely unexpected and your first impressions could be priceless. You could narrate into it when you are very tired or can't write. Sometimes you could be inspired with an insight while you are walking and unable to write. You can record tags for details to use in future descriptions. You can record spontaneous interviews of interesting characters you meet. You can use it to record authentic sounds on location. Olympus makes a variety of digital recorders to cover multitudes of recording needs for creative traveler. I am very happy with Olympus WS 321M. It can continuously record for 21 hour on one AAA battery and has a voice activated feature. It can accept a variety of accessory microphones, including telephone, noise canceling and stereo microphones. Digital Photo. Photo camera is the most frequently chosen to be in everyone's self-documentary toolbox and there are hundreds of cameras to pick. Regardless of ubiquitous smartphones that can capture fair quality snapshots and video, I prefer a separate camera. I am not wading into DSLR level of commitment territory here keeping it on the level of a portability of an average traveler. 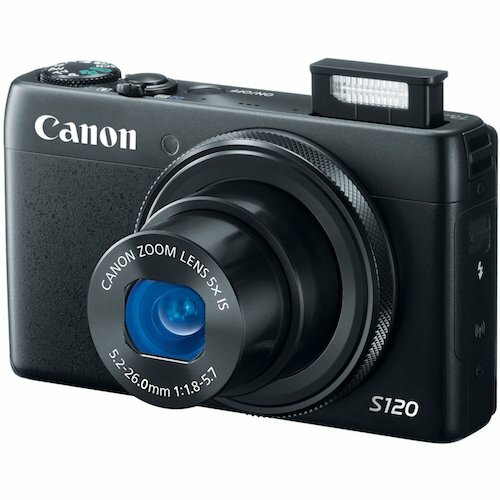 I am impressed by several of them, but I am particularly like Canon Powershot S120 for its form, weight and features like having a 24mm zoom lens. The PowerShot S120 camera puts the world in your pocket with superb imaging, easy wireless sharing and touch-screen convenience. Newly expanded built-in Wi-Fi® is a snap to set up; it lets you post to Facebook®, Twitter®, YouTube™ and Flickr®, send to email, and share easily with your tablet, smartphone, networked PC and wireless PictBridge certified printer. Step up to a new level of image quality with a 12.1 Megapixel High-Sensitivity CMOS Sensor and DIGIC 6 Image Processor that together create the Canon HS SYSTEM, delivering rich natural color and beautiful clarity even in low light. Shoot with great definition at ISO speeds from 80 to 12800, and capture brilliantly realistic 1080p/60p Full HD video. The camera's bright f/1.8 lens captures the subtle nuances of low light, and the 24mm Wide-Angle lens and 5x Optical Zoom offer a wealth of shooting versatility. Experience incredibly quick full resolution continuous shooting with High Speed AF that focuses nearly the moment the camera is pointed. Operation is highly intuitive with a clear 922,000-dot 3.0-inch touch panel LCD screen with convenient Touch Shutter feature. Intelligent IS prevents blur in any situation. New star shooting modes help you capture the nighttime sky like a pro, and Background Defocus mode creates the beautiful background blur of a classic portrait. HDR shooting is another pro-style technique made easy, with several creative finishing options. Digital Video. 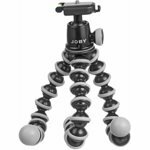 If you are the person who appreciates rich details in motion, then it would be good to consider having a dedicated digital video camera in your self-documentary toolbox. There are many digital camcorders on the shelf and I would recommend one that I like for its useful features and outstanding quality of images. 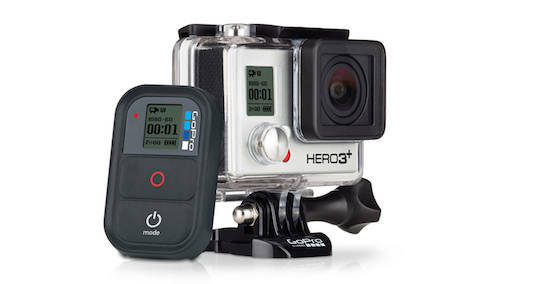 As I mentioned earlier smart phones, compact cameras and DSLR offer an ability to record video, nothing can beat the active versatility and HD quality for creative capture of a GoPro Hero3+. Digital Book Reader. During periods of transition during the travel or with intention of nurturing your soul with the stories of others, book is a faithful companion of a thoughtful traveler. Times have changed however and there is now a convenience of a digital E-readers allowing a traveler to pack a big library of books in a device thiner than a volume. There are many to choose from, including touchscreen notepads like Google Nexus and Apple Ipad. I like the idea of having a dedicated book reader isolated from infinite stream of other information. When it comes to nurturing your soul, multi-tasking is not a plus. Digital Music Player.Sometimes it is very helpful to have an inspiration of music with you. I say it cautiously in the context of self-awareness, as excessive living in the music world could be just another form of insulation from experiencing own reality. But having an mp3 player could be very beneficial as it can store audiobooks, podcasts, music and video for self-nurturing travel. Charger, Tripod, Media. 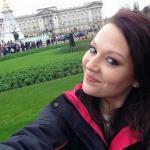 Inevitably you need support items for self-documentary toolbox. Recording your travel is critical and you like to be well equipped with battery charger, memory cards and a versatile compact tripod. Smart charger from NewTrent is very efficient and can work anywhere without a power adapter. It can charge from the outlet and store energy for charging later — very smart, weatherproof, compact and stores plenty of energy. Tripod. I like the portable flexibility and strength of Corillapod. It is perfect for travel self-documentary toolbox: compact, versatile, light. Media. It makes sense to have extra memory cards — always. They are small and weigh nothing and some have huge storage capacity. They cost very little compared with value of recording of your travel.